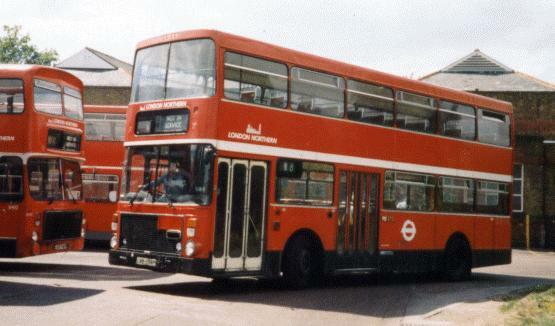 The Volvo Ailsa was developed as an answer to the engineering problems that were caused by rear-engined buses. The engine sits between the drivers cab and the door, which has three leaves to allow clearance for the engine compartment. The VA is easily identifiable by the large front radiator grill. 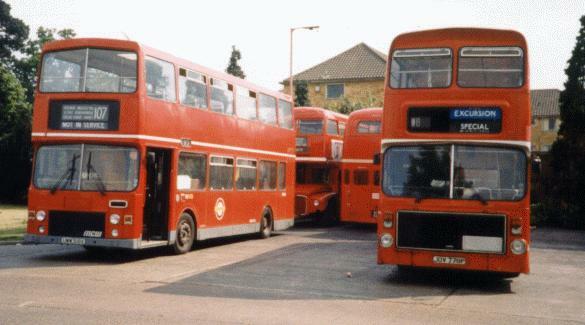 London Transport obtained second hand examples after buying three models, including V3 the double-door double-staircase bus, for evaluation. By the time I photographed it the rear door had been removed. Why Jenny's page? In honour of her confidently pointing out an Ailsa, when we were on a trip to Glasgow, much to her dismay!! 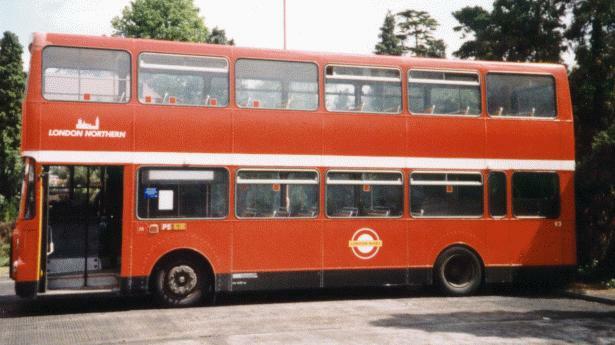 V3 at Potters Bar Garage. The position of the former rear door can be clearly seen. 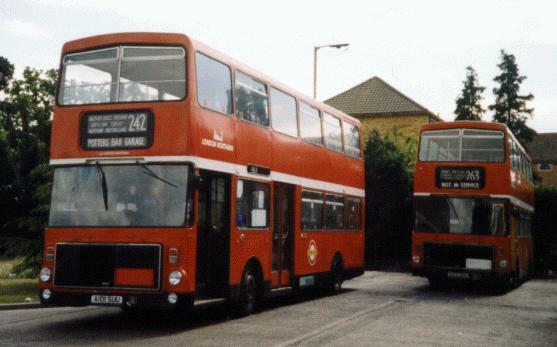 V3 at Potters Bar Garage. The rear staircase is still in position. Contrasting Styles. Ex WMPTE Ailsa with company at Potters Bar. V1 & V2 in between duties at Potters Bar. 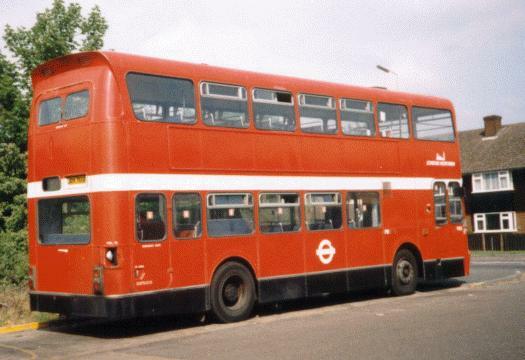 Ex South Yorkshire, bodied by Van Hool-McArdle. 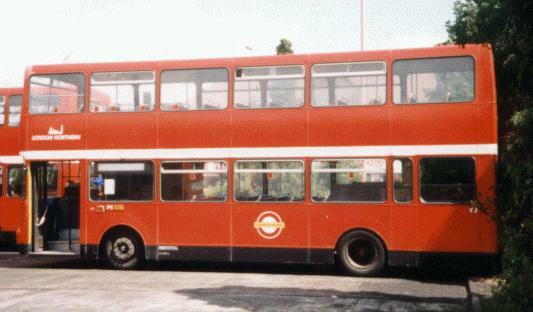 The distinctive peaked rear dome of an Ex WMPTE Ailsa. A contrast in front ends. Christchurch, Dorset. 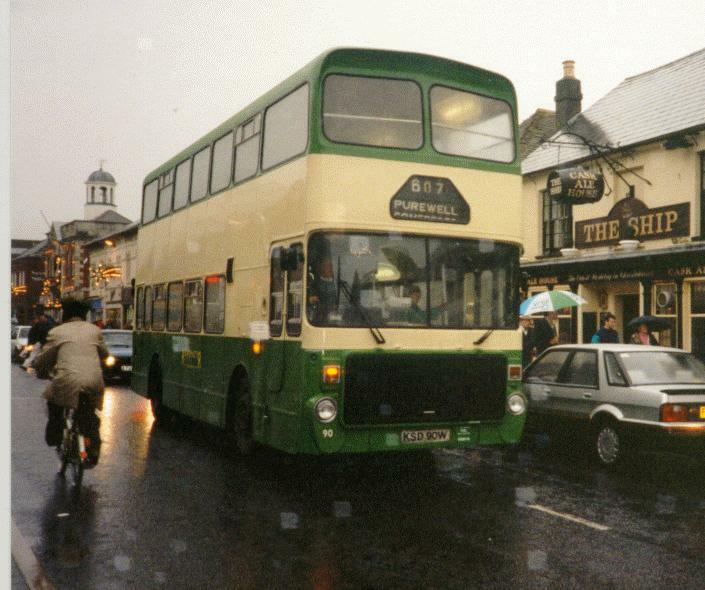 Part of the short-lived Routemaster operation in Bournemouth. 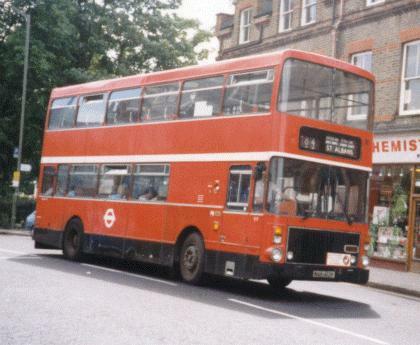 Information about the Volvo Ailsa in London can be found in: 'An illustrated history of London buses' by Kevin Lane. Published by Ian Allan in 1997. ISBN: 0711025169. Thanks to Ian of 'Ian's Bus Stop' for this information. Check out his excellent Volvo Ailsa pages. For more Ailsa's take a look at the Black Prince pages. All pictures are part of the JMVAA collection and may not be reproduced without permission.